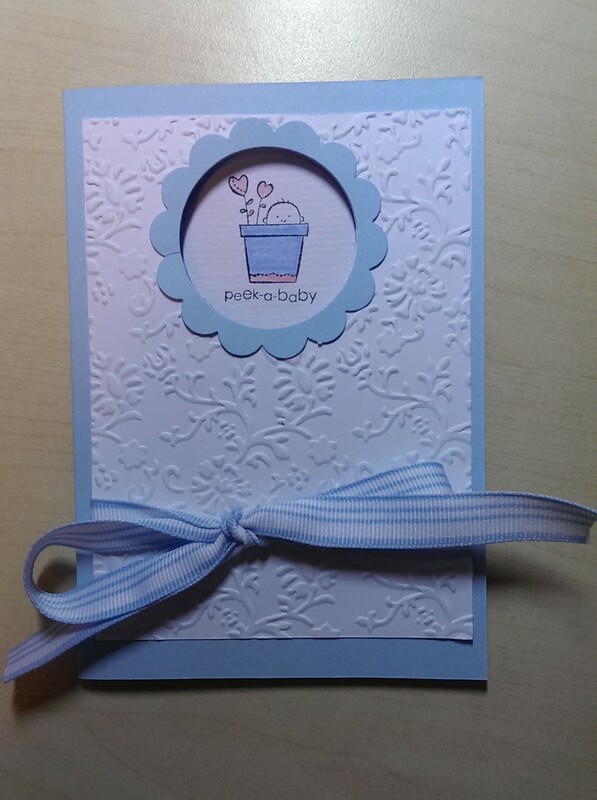 The cards I have to show you today follow a similar layout to a baby card I showed you a few weeks ago. Both of these cards were inspired by a demonstrator in the UK called Sam Donald who has an awesome blog/YouTube channel called Pootles Papercraft. I encourage you to check it out – I get so many ideas from there. 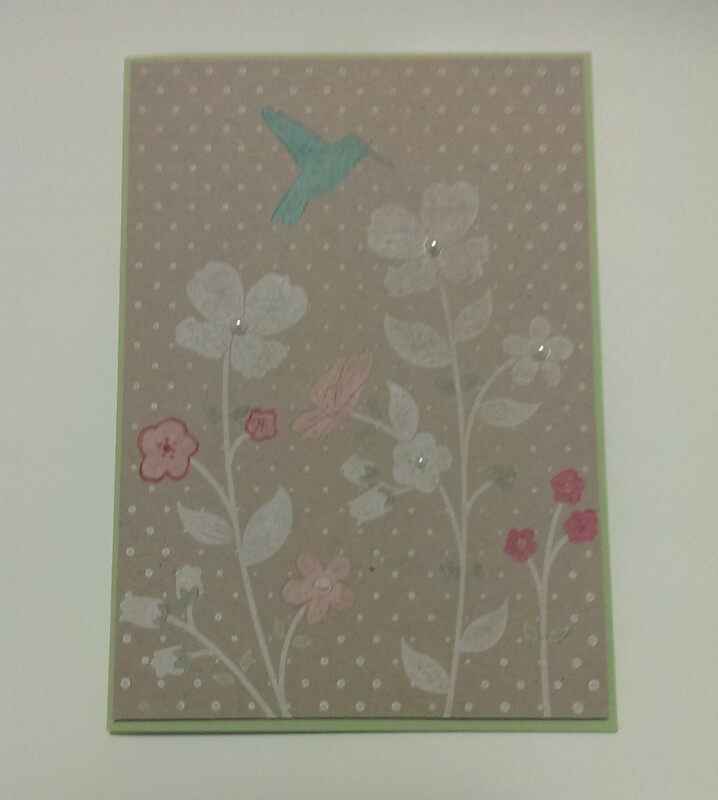 Here’s the card she called ‘Elements of Wildflower Meadows’. There are so many things you can do with the Wildflower Meadows stamp. I hoped you enjoyed having a look at some of the things I’ve made with it. 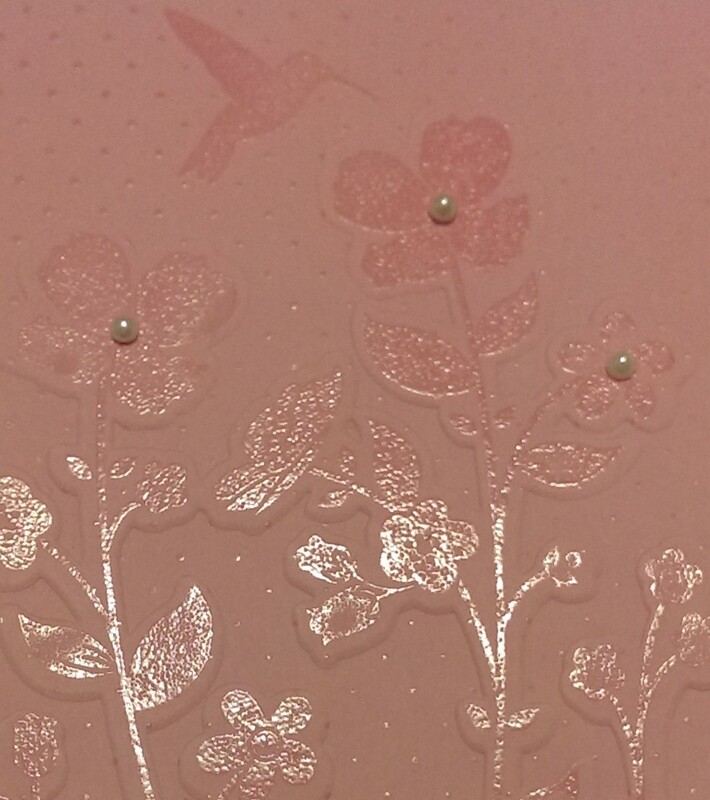 Yesterday I showed you some cards I’d made with my Wildflower Meadow stamp and matching embossing folder. 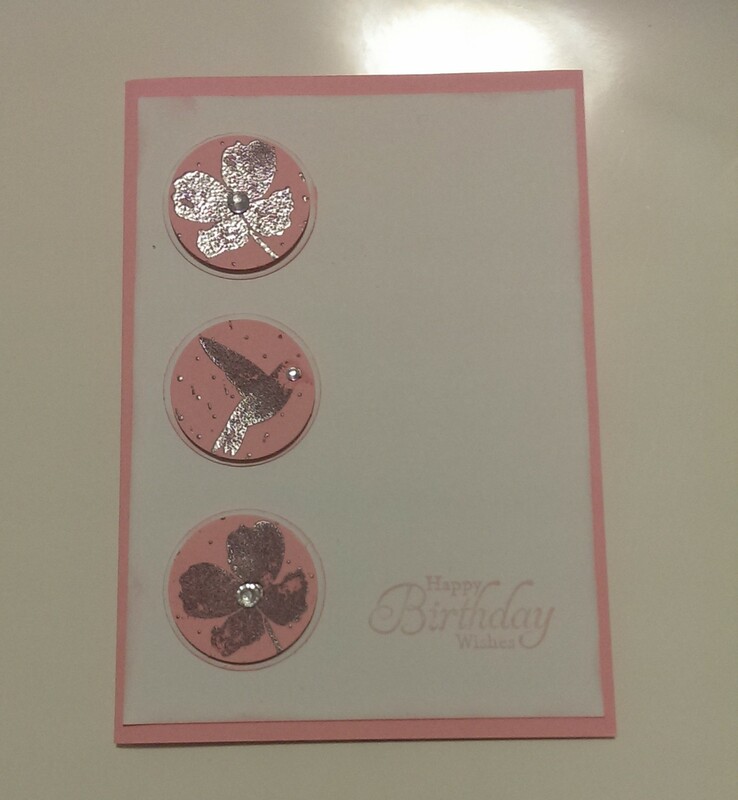 Today I wanted to show you some cards I’d made using the stamp with Versamark ink and embossing powder. 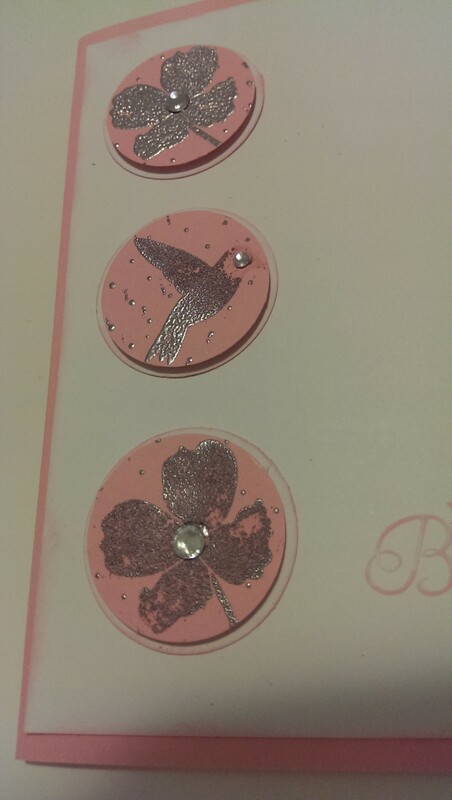 I had so much fun embossing I am going to have to try some more soon. Sorry for the long gap between posts. Life has been a little hectic lately (to say the least!) 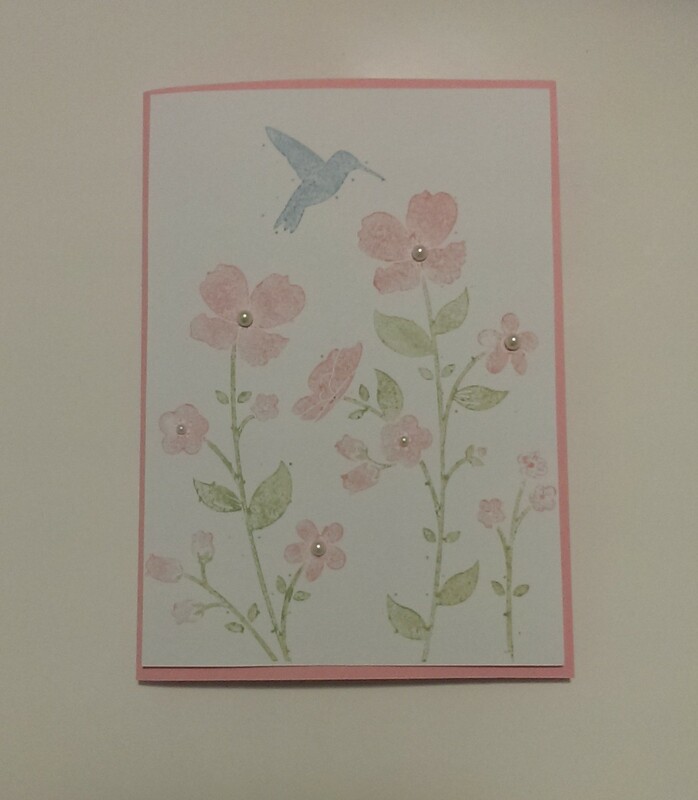 I haven’t had any chance to make any cards lately, but I do have a few photos to show you from the last time I managed to spend a few hours on my card making. 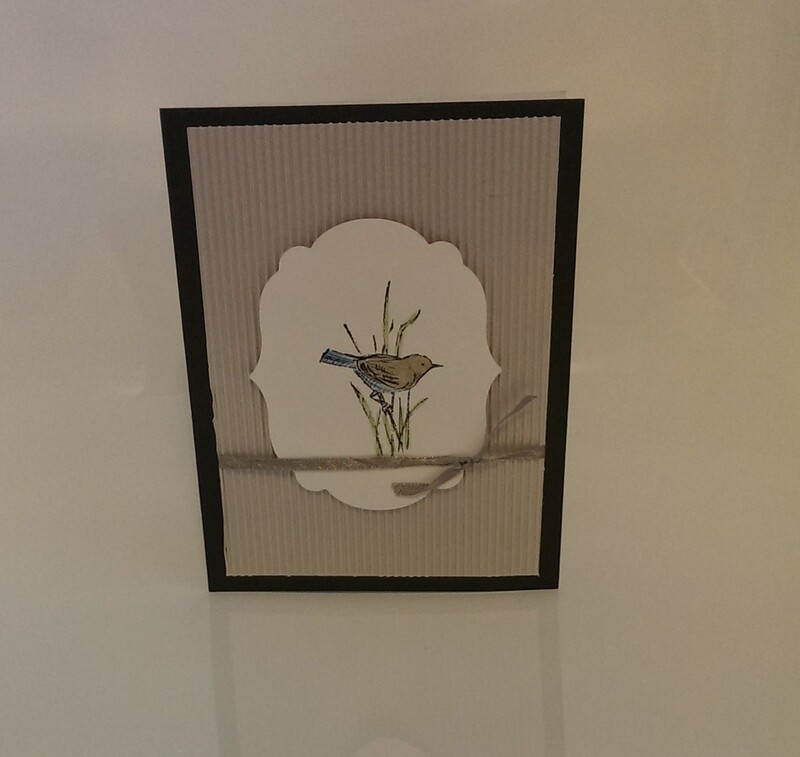 One of the card sets that most caught my eye in this year’s Stampin’ Up! 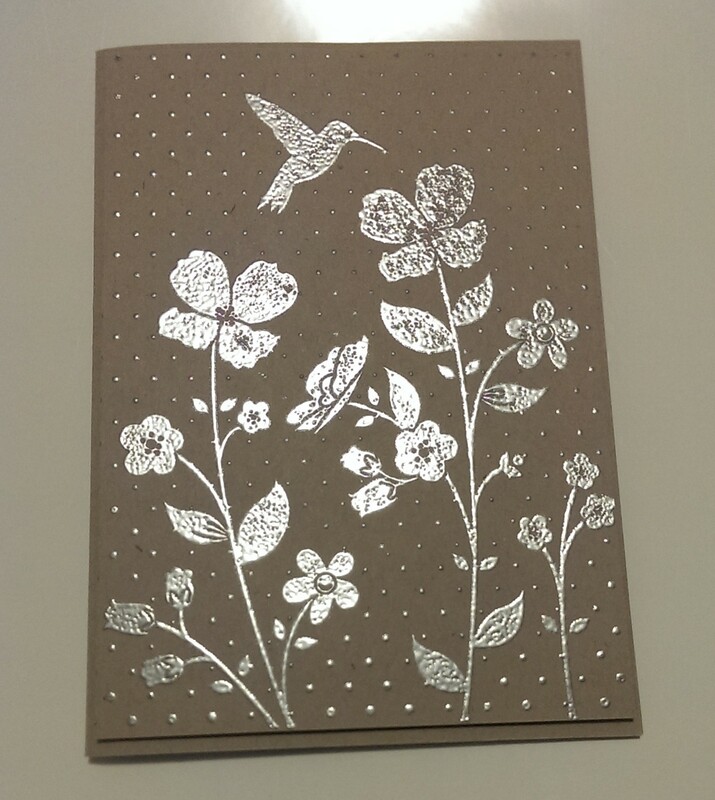 catalogue was the Wildflower Meadow set – and it has a matching embossing folder! Who could resist? 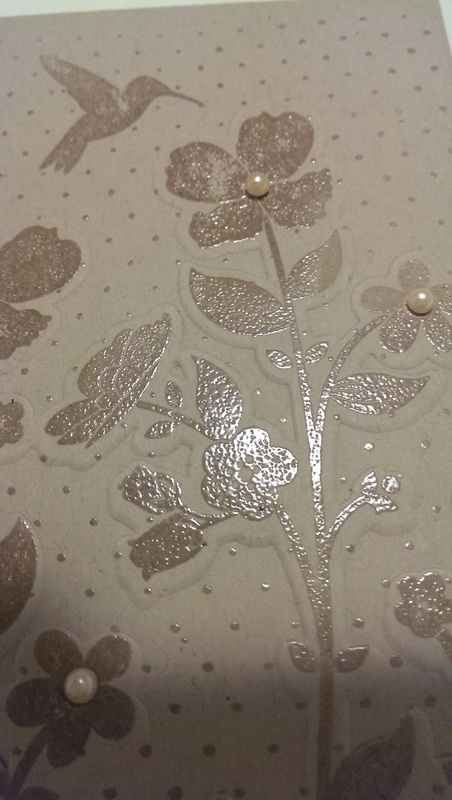 It is such a beautiful set and the extra depth from the embossing means you can get an amazing effect from the simplest card. I had such a lovely time playing with this stamp set. I’ll show you some more of the results of my experimenting over the next few days. 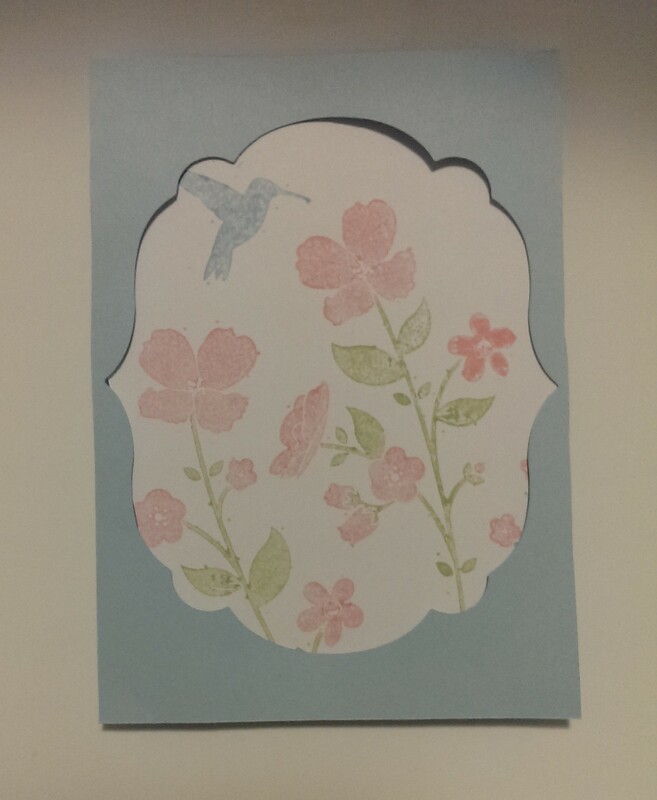 Have you ever finished making something and had a whole heap of small pieces of pretty paper left over? 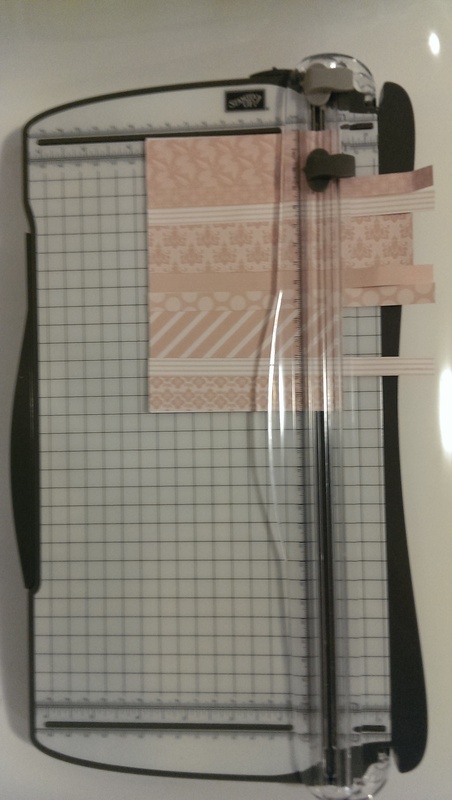 Me too, so I thought I would show you what I did with a recent pile of left over strips of designer series paper (DSP) from Stampin’ Up! I made new pretty paper! 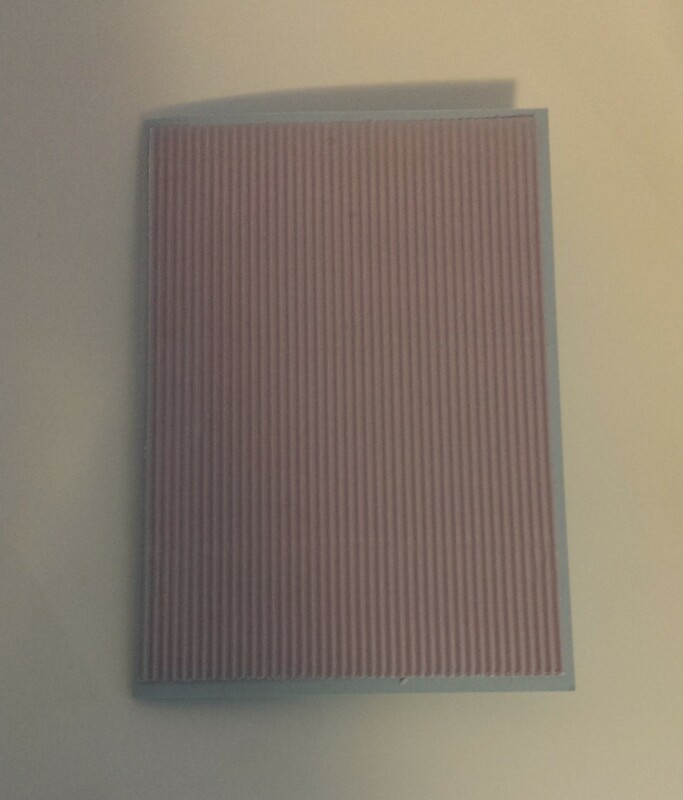 I got a piece of white paper the size of a card front and glued the leftover strips of DSP to it. 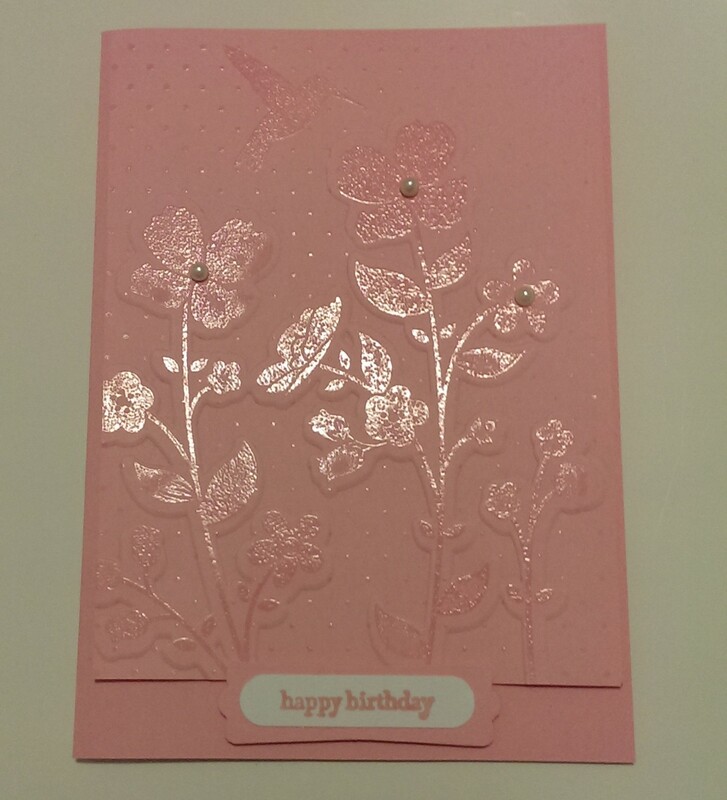 I then trimmed off the edge so I had a gorgeous patch work style front for a card. I had enough pieces to make two. Now I just need to figure out what to do with them – I’ll show you when I figure it out. This would be a great thing to do with kids too – even with torn up strips from old magazines or catalogues. Hello! I hope you’re having a great day. 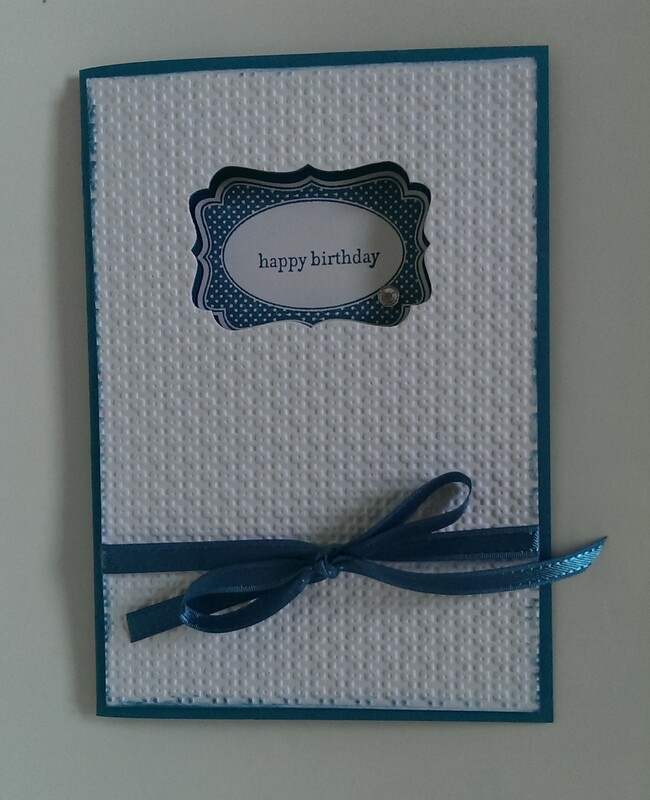 I used Crumb Cake as the base card with matching seam binding ribbon. The bird is coloured with my Stampin’ Write markers. 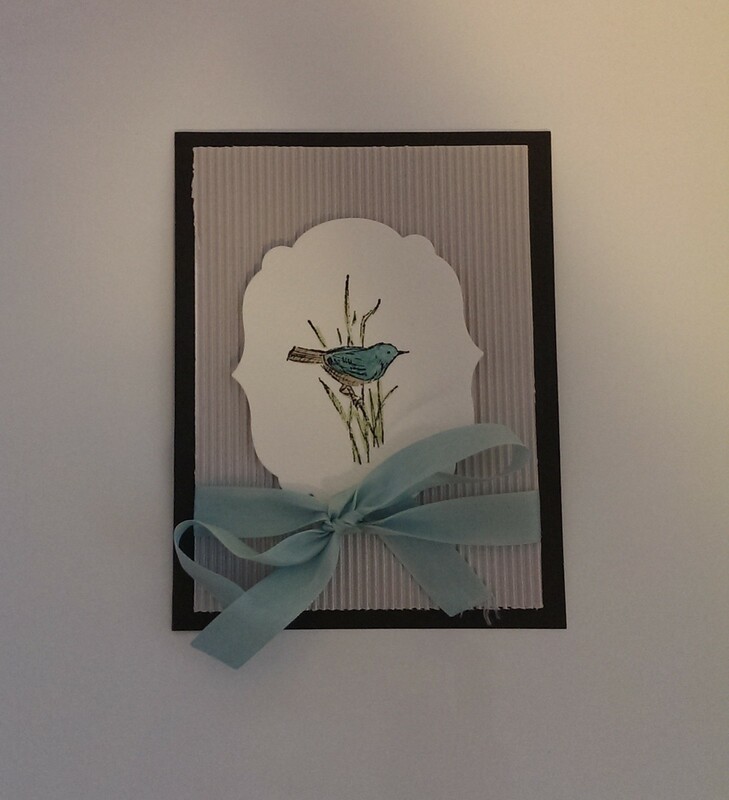 The blue layer is from a pack of corrugated cardboard I bought at a $2 shop but I think this card would also work beautifully with some of the new Soft Sky card stock from Stampin’ Up! The watercolour paper is cut out with a Labels Collection framelit. See the ribbon on the last card? You know those ribbons that are sewed into shirts to keep them onto coat hangers? Those ribbons which, if you’re anything like me, you cut off before you wear them for the first time? Well, this ribbon came off a tshirt I bought recently. So don’t throw them away – see what you can make out of them! Just a quick post today. 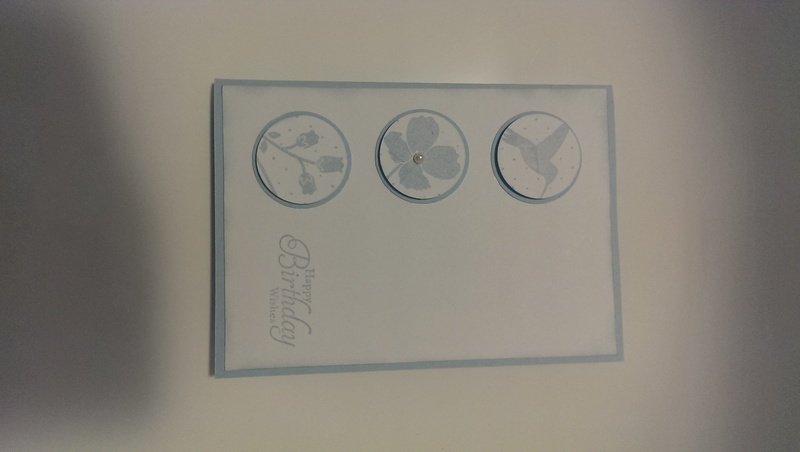 Yesterday I showed you how to make a cut out card with a circle punch. 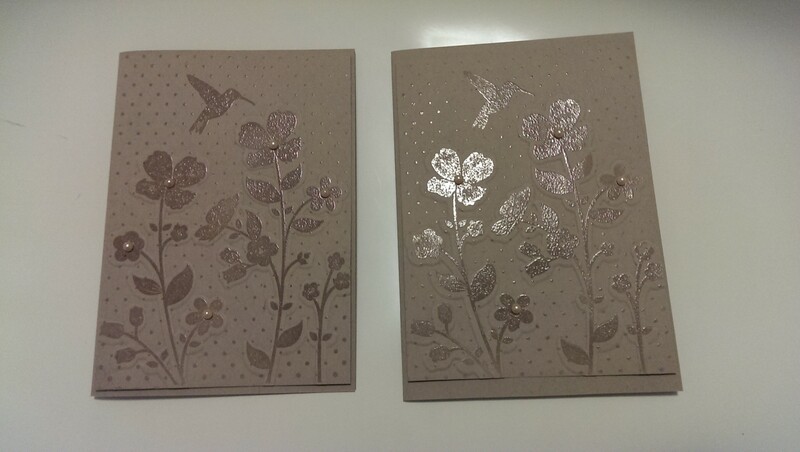 Today I want to show you 2 cards I’ve made using the same technique but using the Stampin’ Up! decorative label punch instead. The stamped images are from the Stampin’ Up! Fancy Frames set. This is a really versatile set – if you are looking for ways to add sentiments to cards I’d really encourage you to think about this set with the matching punch. 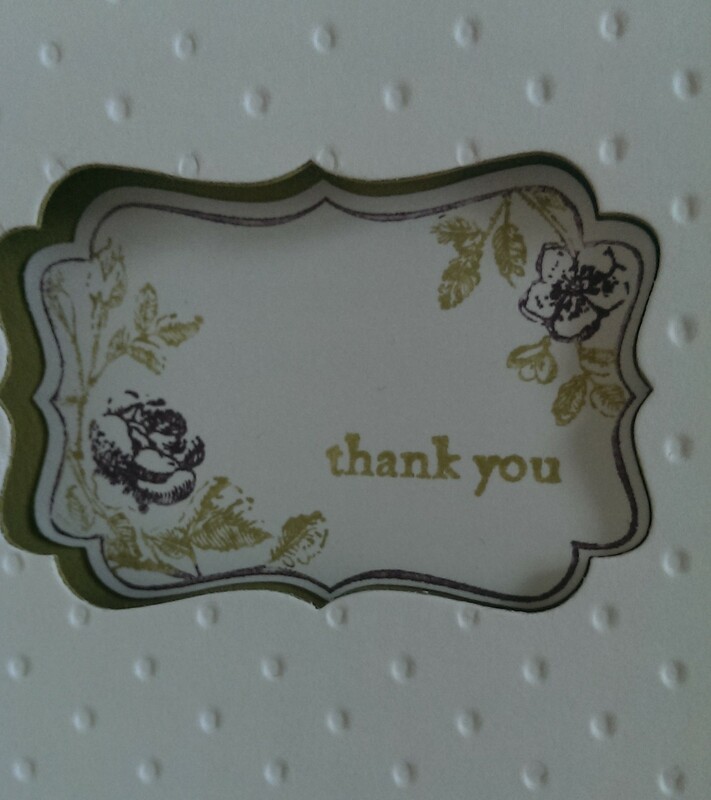 The ‘happy birthday’ and ‘thank you’ come from the Teeny Tiny Sentiments set. Another indispensable one for your collection. 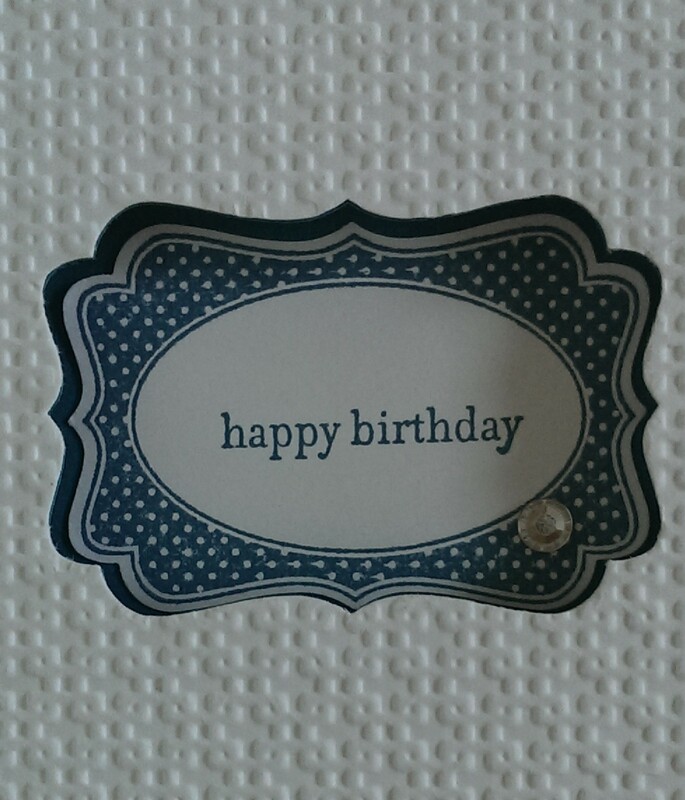 This card is made with Island Indigo and Whisper White (embossed with the square lattice embossing folder). I’ve used matching Island Indigo ribbon and sponged in ink around the white layer for extra depth. 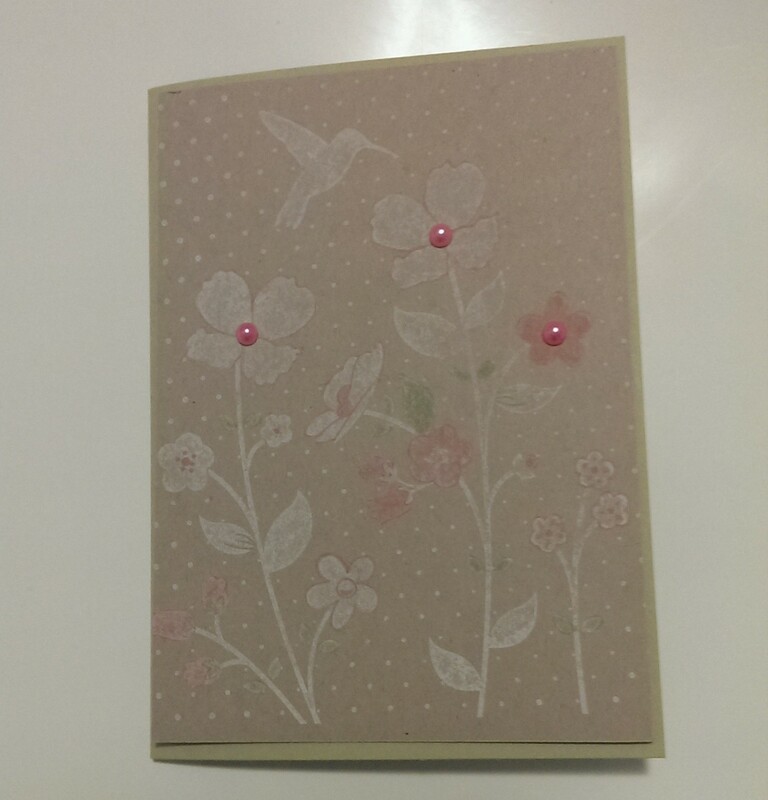 This one is made with Pear Pizzazz, Whisper White and Perfect Plum with the Perfect Polka Dot embossing folder. 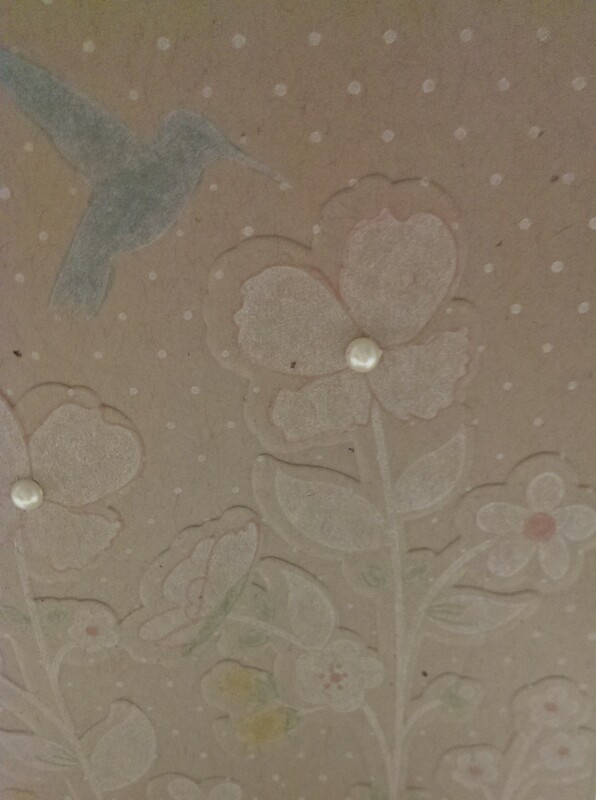 You can see I’ve used the reverse side of the polka dot embossing for something different. I used my Stampin’ Write markers to get the multicoloured image on the stamp. I’ll let you in on a little secret with this one. See the rhinestone? It is actually covering up a small smudge in the stamped image, but I actually think it works! Someone once told me that “A mistake is just an excuse for an embellishment”. In this case, they might be right! 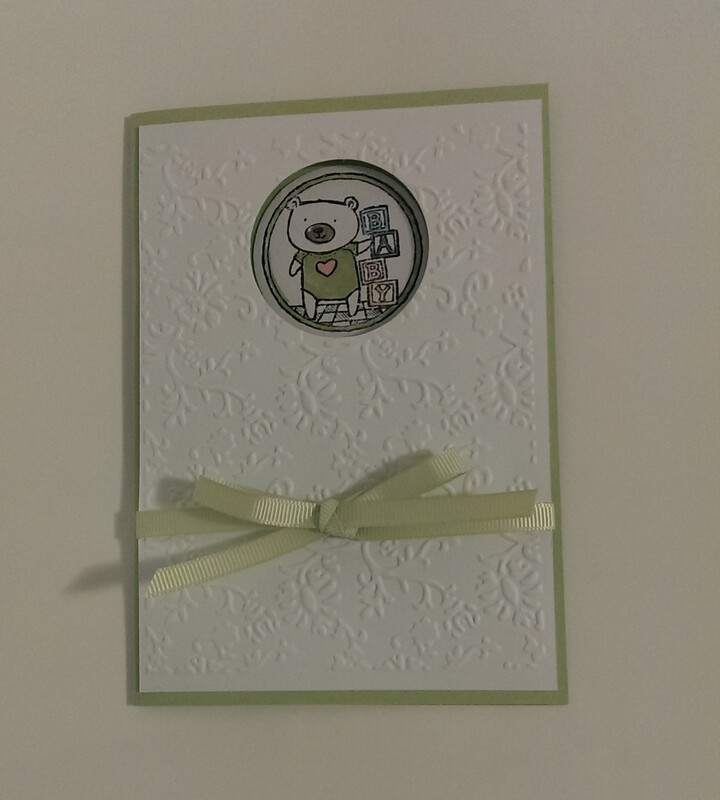 Yesterday I showed you a card I made with a cut out image in it. I think of this as a peek-a-boo card! Today I wanted to show you how to make it. 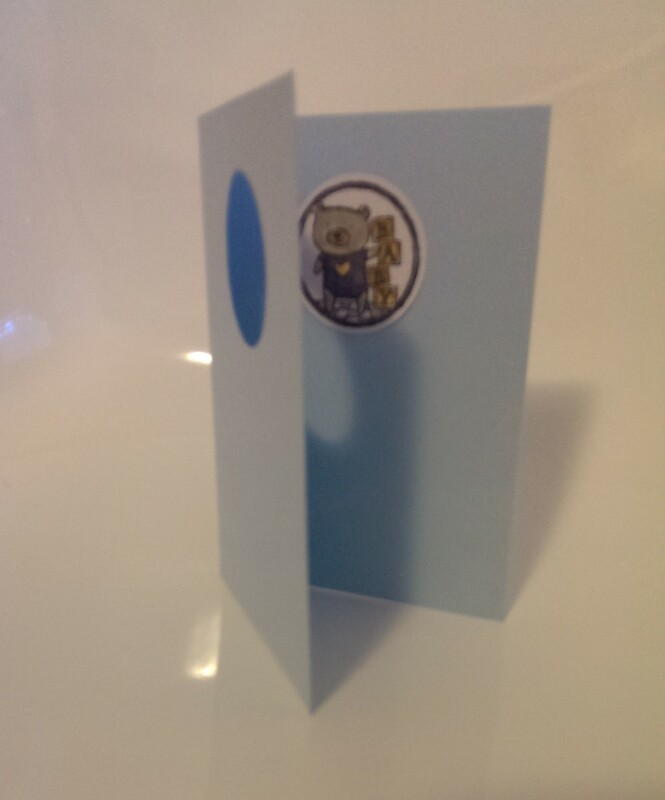 Step 1: fold a card blank. I used my 1 3/4 inch circle punch, but you could use any shape you like. 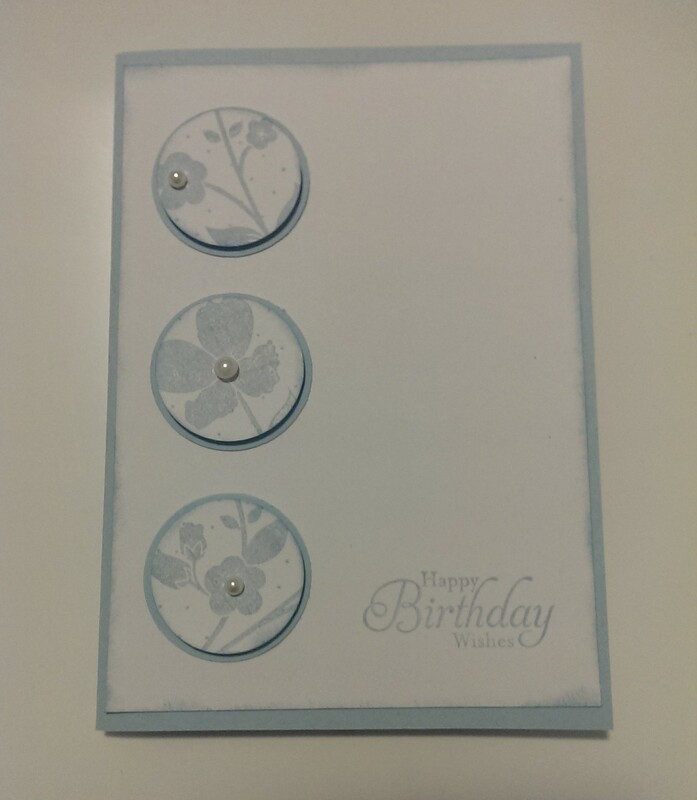 Centre the punch at the top of the front of the card and punch out an image. 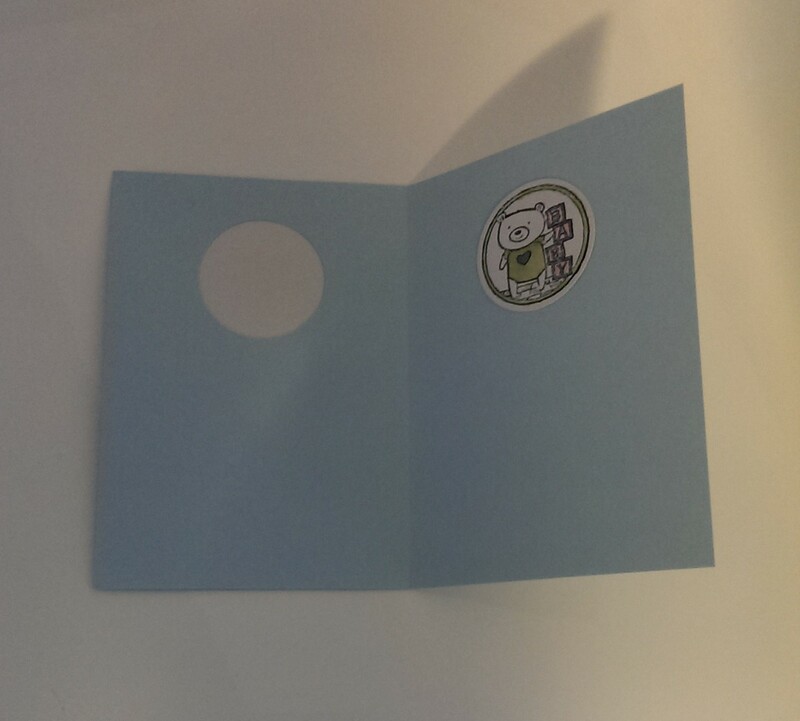 Step 2: stick the image on the inside of the card so you can see it through the open circle on the front. Tip! Do not try and glue this from the inside. 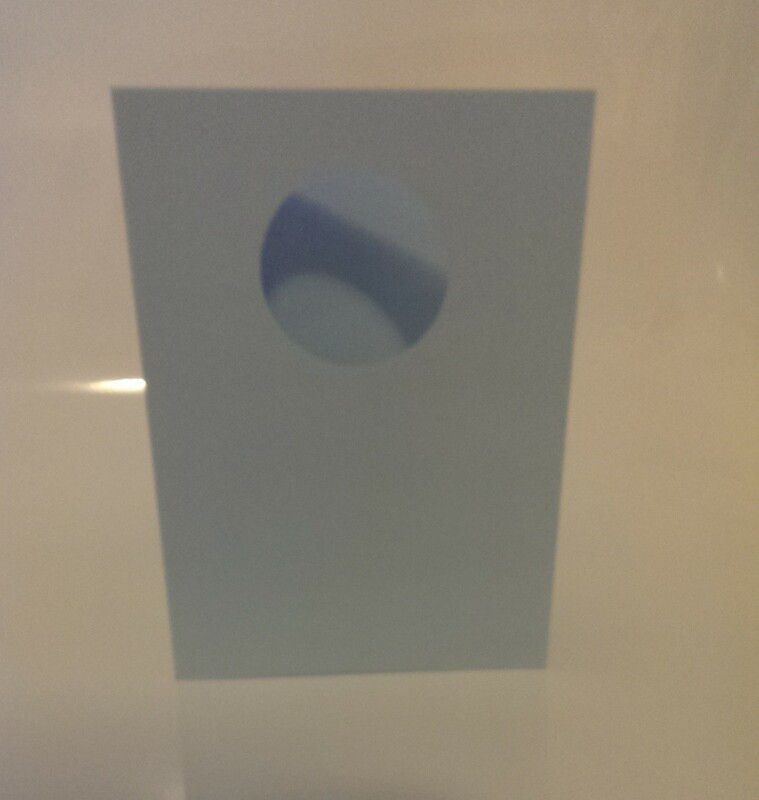 Close the card and stick the image to the inside of the card through the hole on the front. This will make sure you get a perfect alignment. 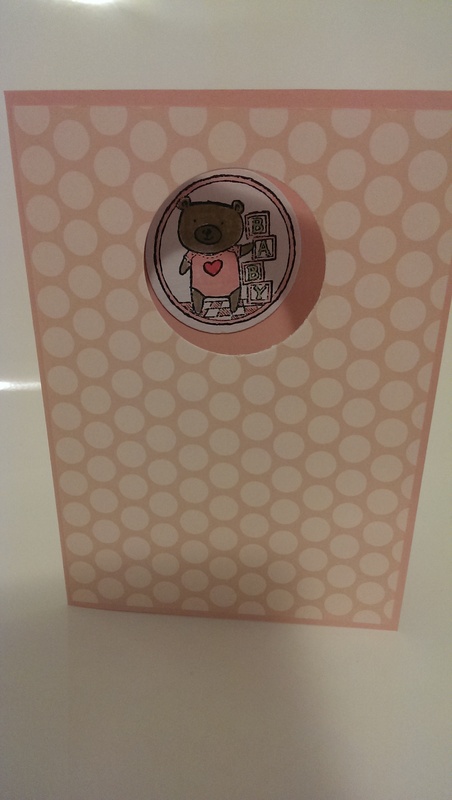 The hole is hiding there under the purple card stock. 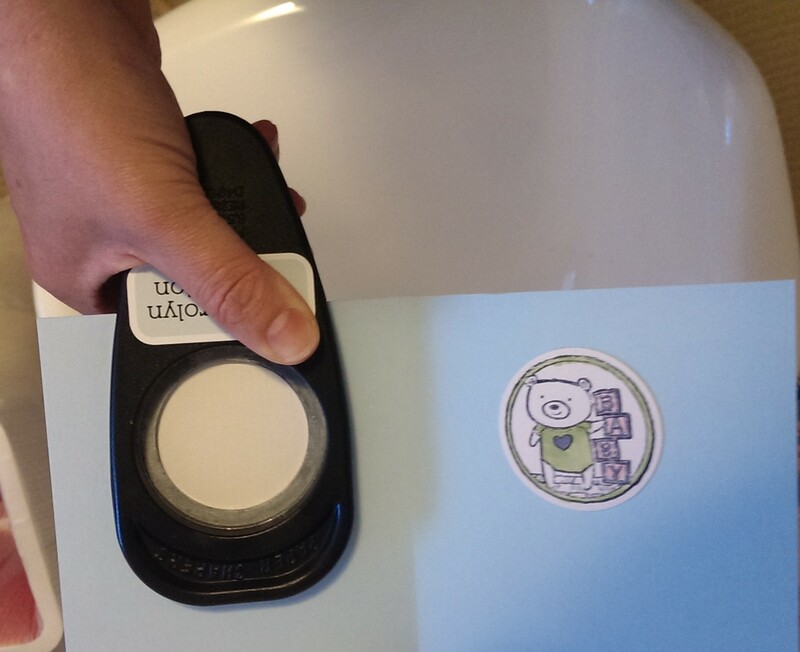 Step 4: Once you’ve decorated the card, open it, and cut a circle on the inside from the same hole as the first one you cut. And you’re done! A very simple card but pretty effective I think? This technique also works with other punches. Tomorrow I will show you a couple of cards I’ve made using the same technique but a different punch. I hope you enjoy making some of these. Over the past week I’ve been showing you some of the range of cards I’ve made using a pile of coloured in images I have had lying around. You’ll probably be pleased to here that this is the last post I plan on doing on this topic! 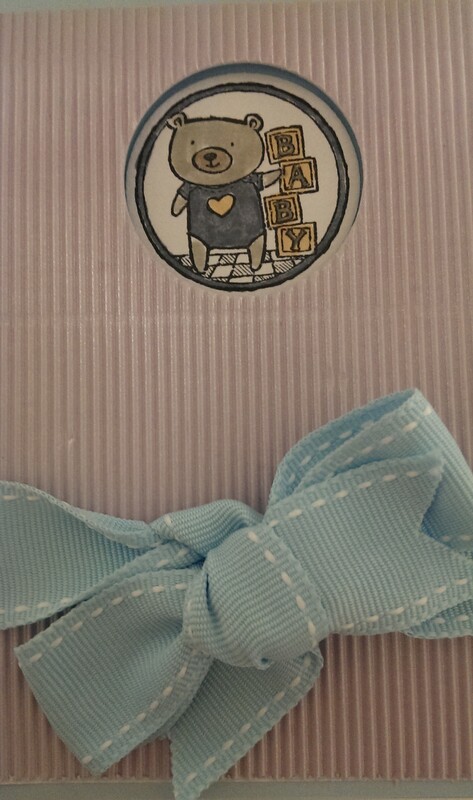 One of the images I coloured in multiples of was this cute image from a retired Stampin’ Up! 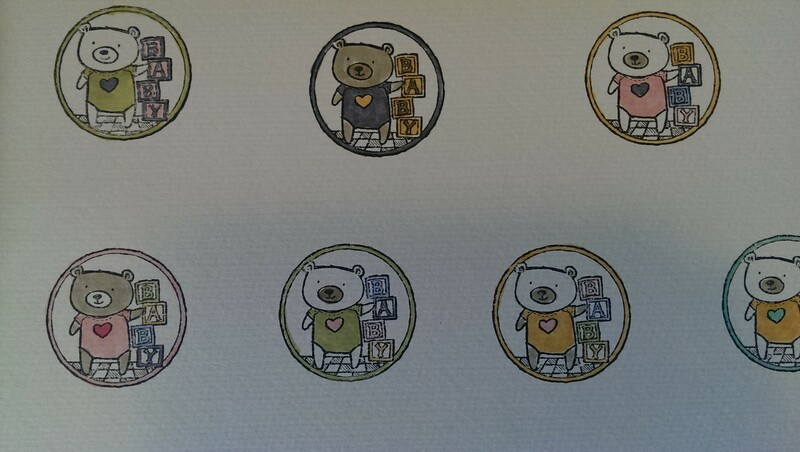 stamp set called Give a Gift. They are all a bit different. 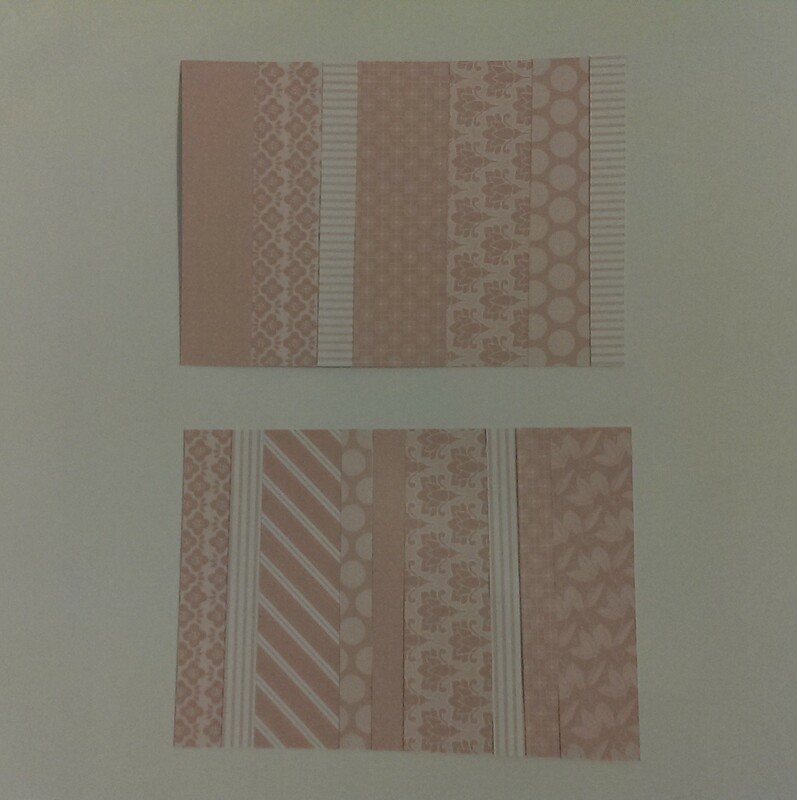 I’ve used up quite a lot of spare DSP or sheets of card stock I’d embossed but not yet figured out what to do with. This is such a simple and effective technique you can use it for pretty much any stamp or imagine that has a matching punch. 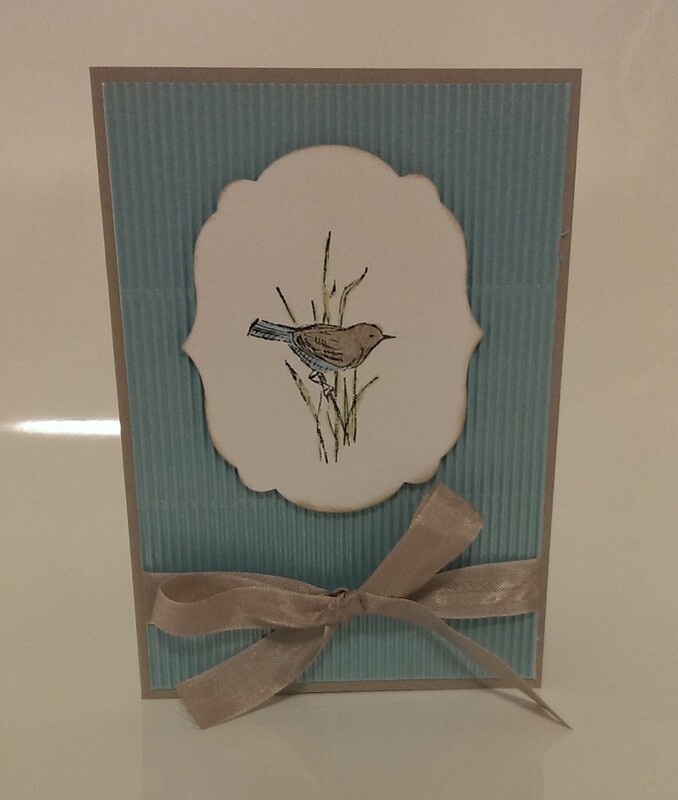 If you’d like to know how I made this card, come back tomorrow and I’ll show you! Is your fridge anything like mine? 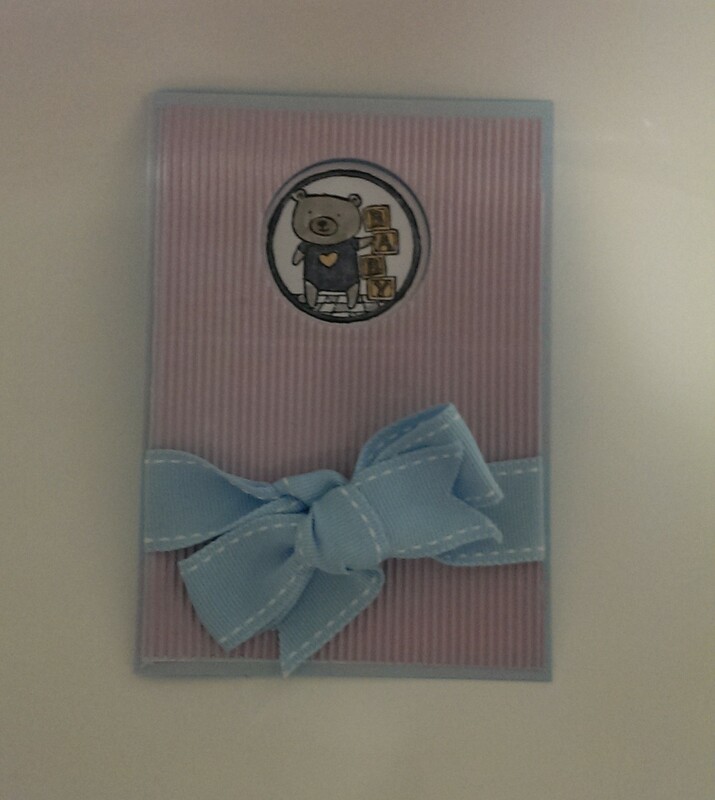 Covered with art works, notes from school/daycare, reminders and birthday invitations? 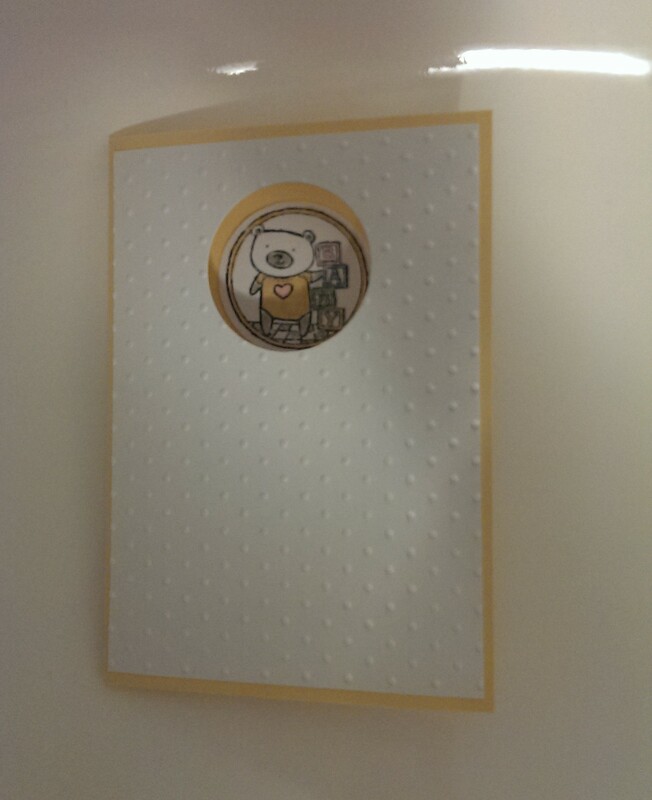 And as a result, covered in magnets, some of which are gorgeous, maybe even matching, but some … well, kinda hideous? And the fridge is getting progressively more scratched from all the magnets. I have previously confessed to a slight addiction to looking for craft supplies in $2 shops. So much stuff, so little money! 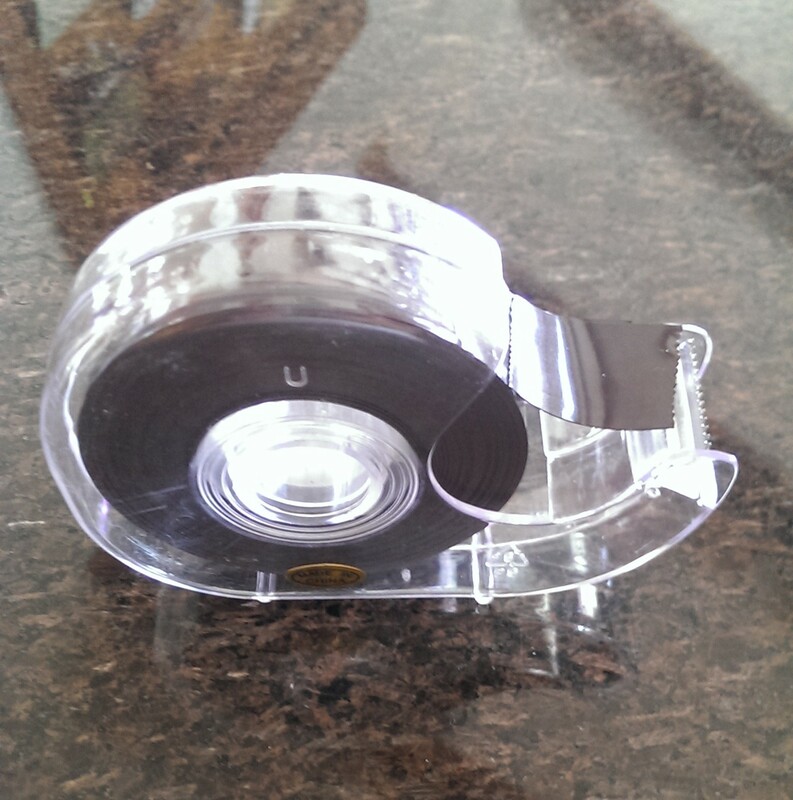 A while ago I picked up a roll of magnetic sticky tape, as I was sure I’d find a use for it. Right? My little boy and I have made a few magnets by sticking some tape to the back of punched out shapes, but the magnetic tape is not really strong enough to hold anything too heavy. 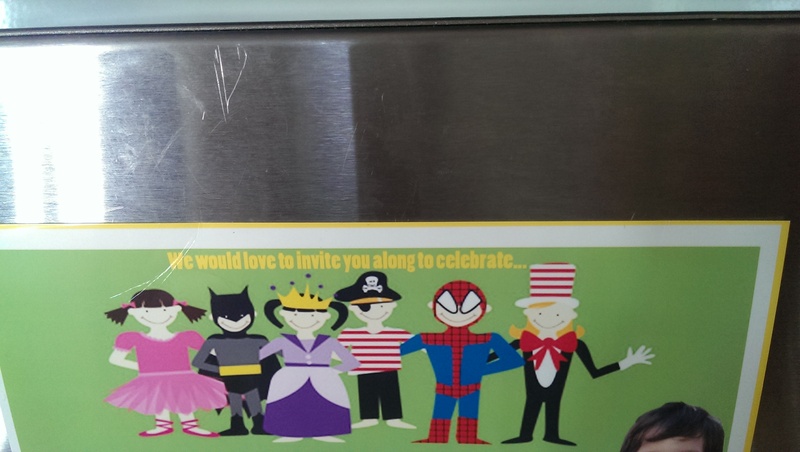 But watching him stick a birthday party invitation to the fridge the other day with yet another magnet, I had a great idea. My roll of magnet tape! So I’ve moved the roll of tape to a kitchen cupboard and I’ve started putting a small bit of tape onto the back of any notes, invitations etc I need to just have on the fridge for a short time – it’s brilliant! So neat! Here’s to an orderly fridge!